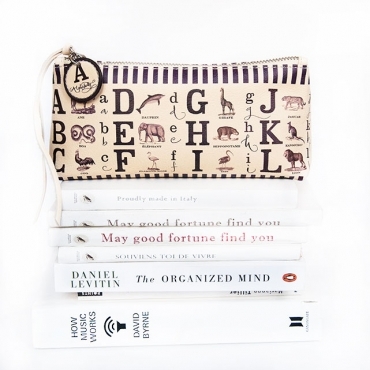 AND OTHER ITEMS There are 41 products. 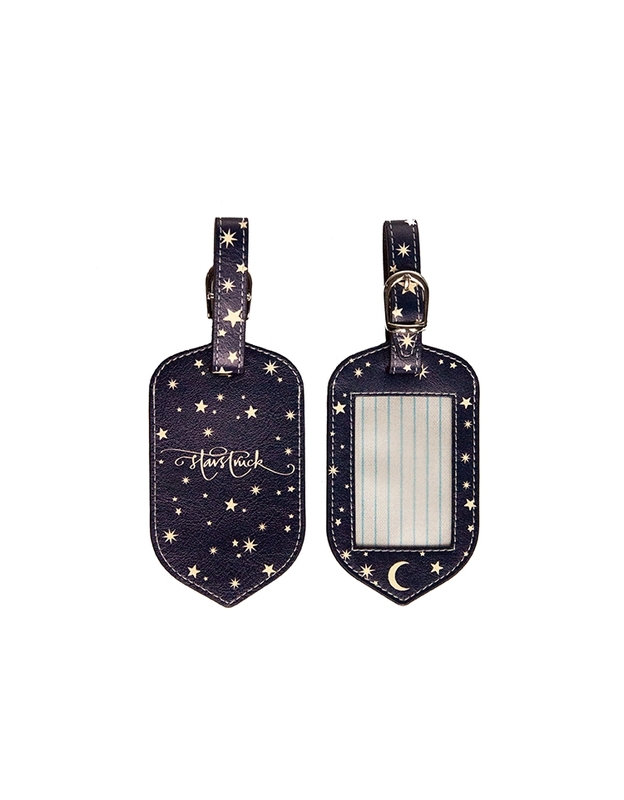 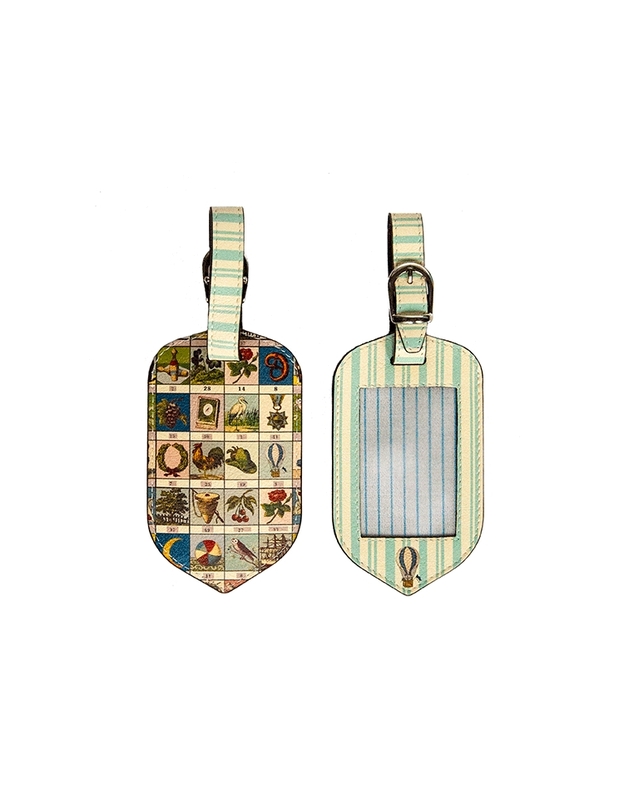 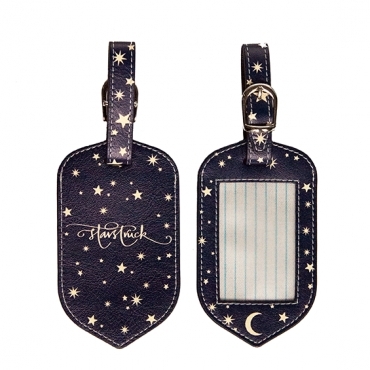 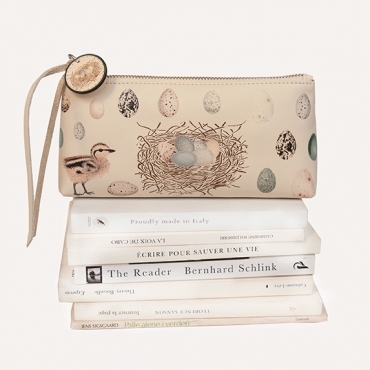 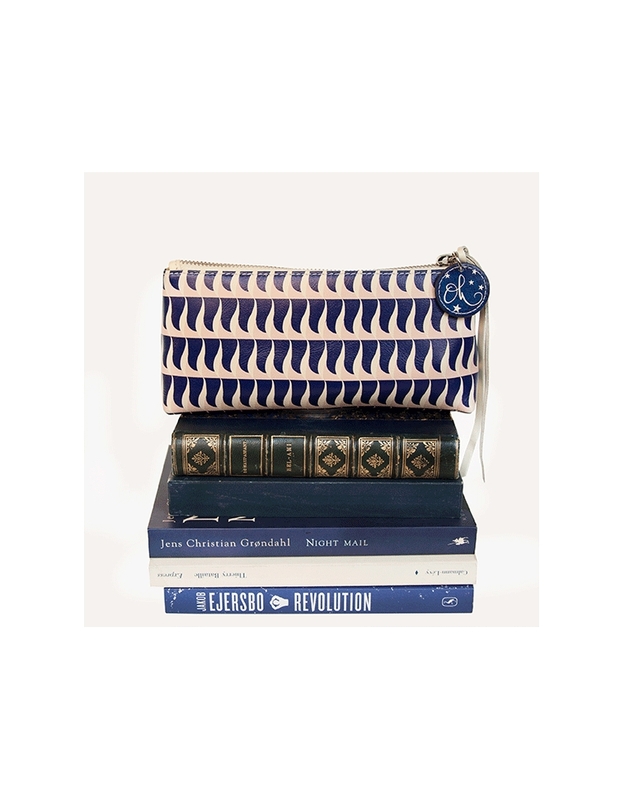 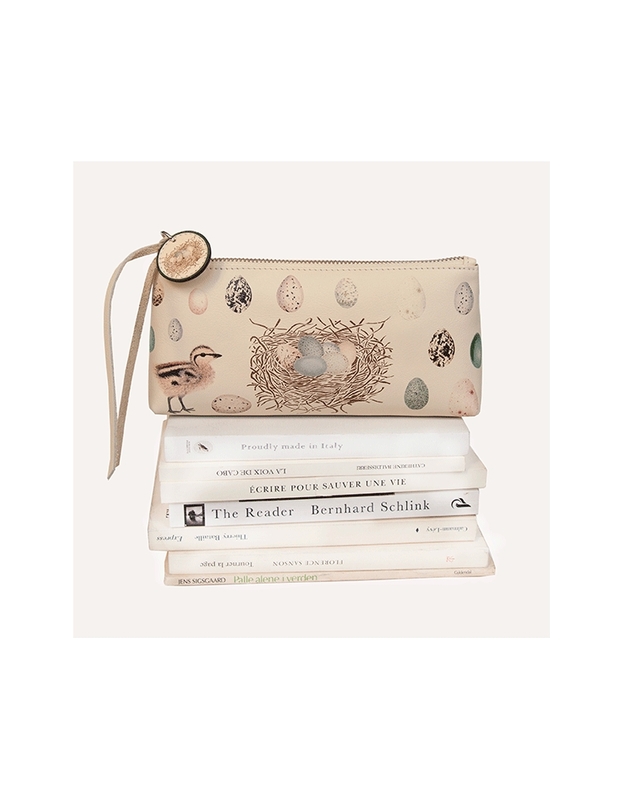 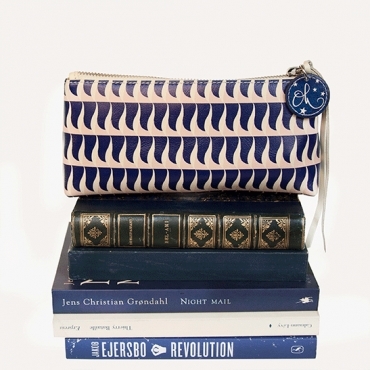 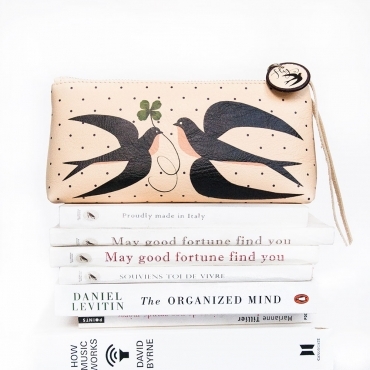 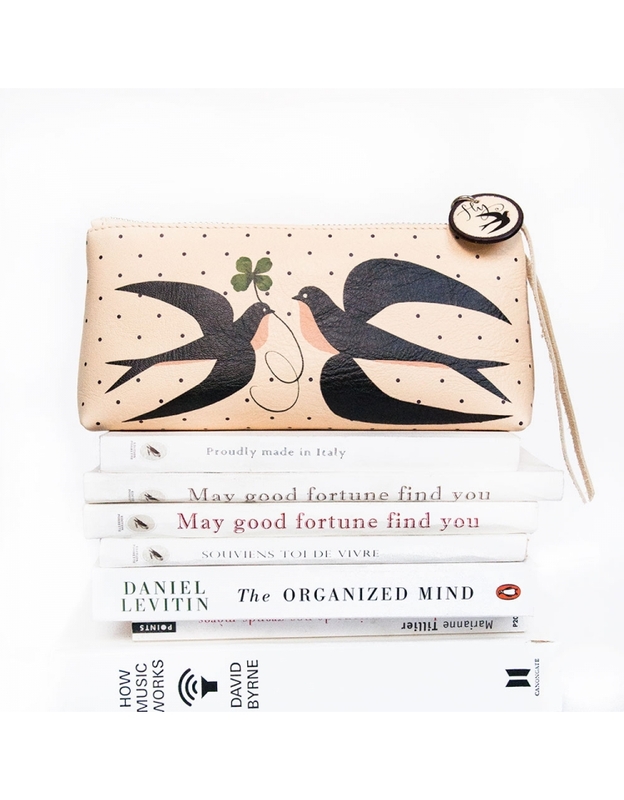 The 'Just Ink Case' zip purse can be used as a pencil,- and all things inky- case, or as a make up purse. 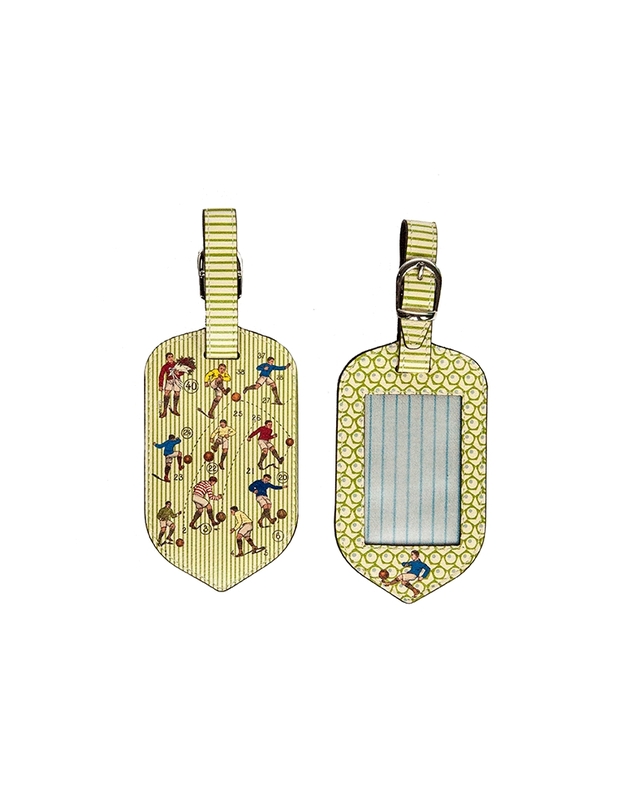 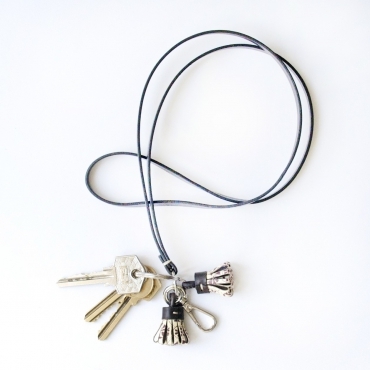 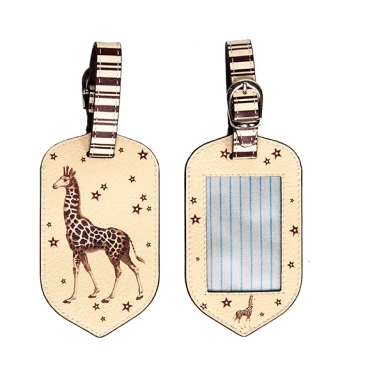 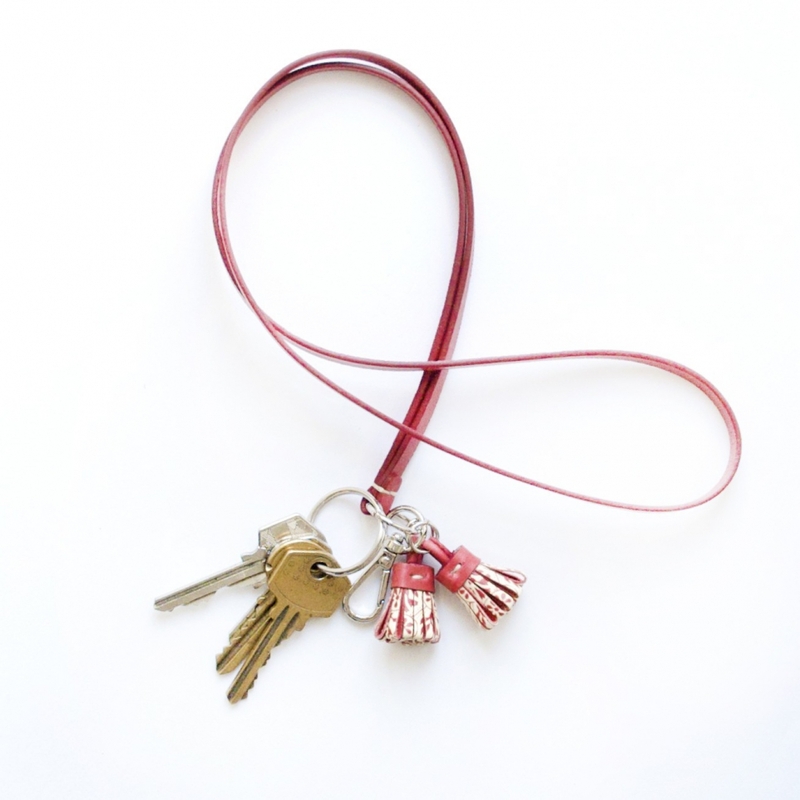 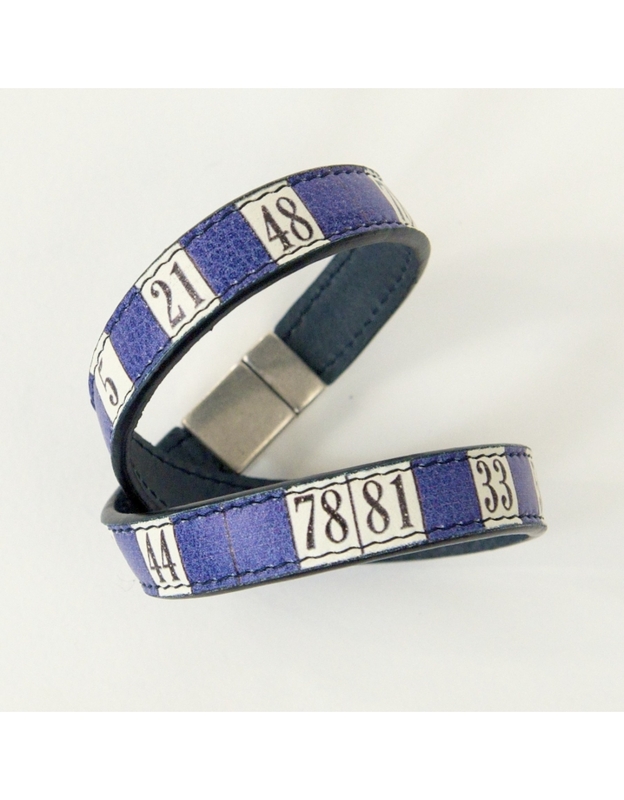 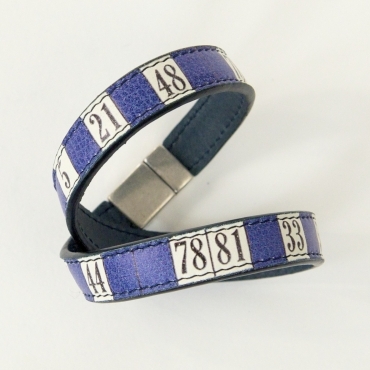 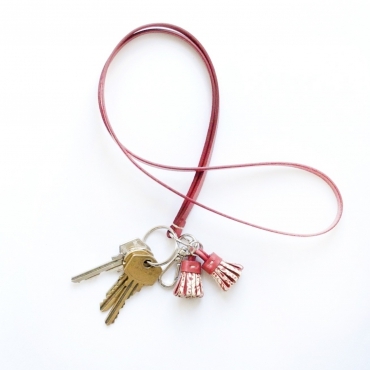 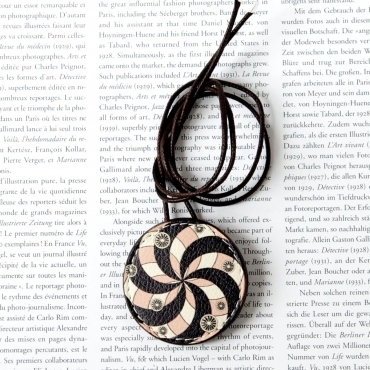 21 cm x 10 cm Printed soft leather with round attachment and leather puller. 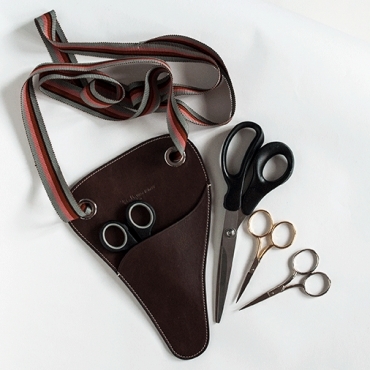 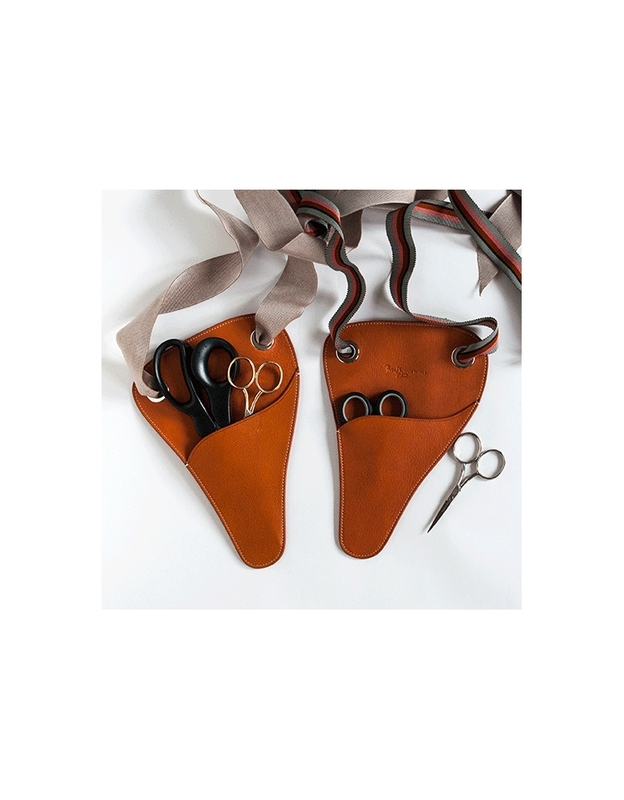 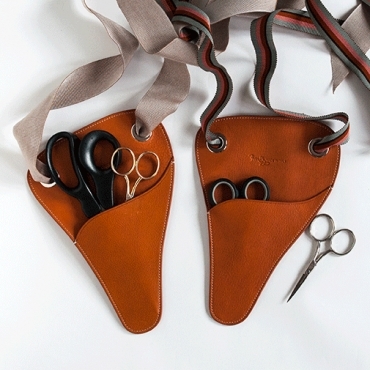 Pret A Couper is a holster, handmade in brown leather to keep your scissors handy, ready and protected. 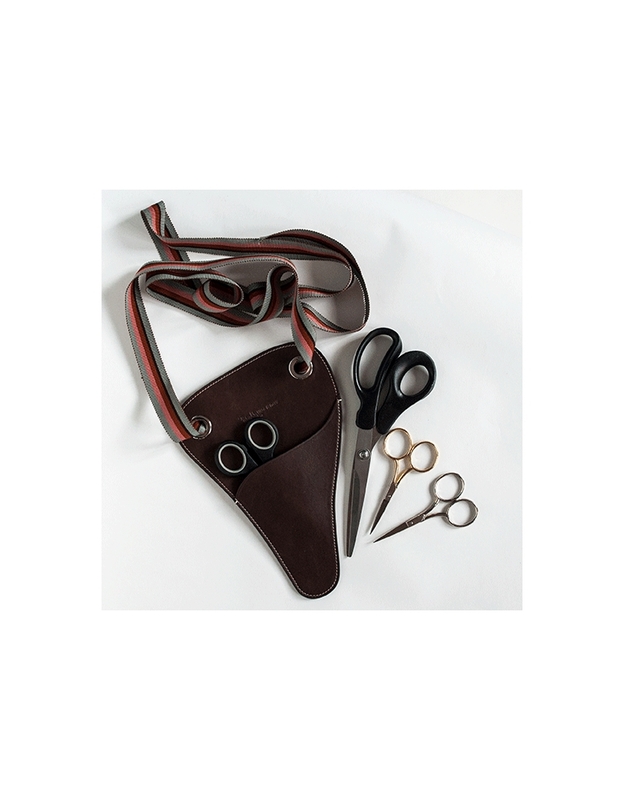 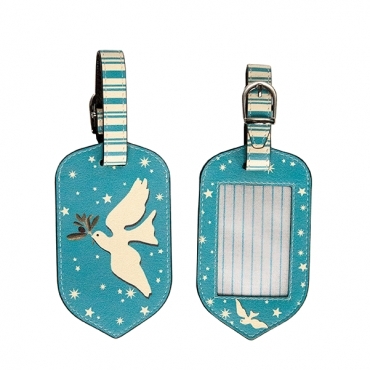 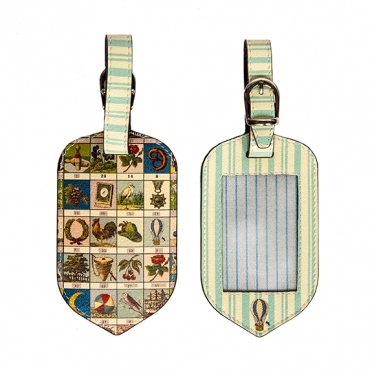 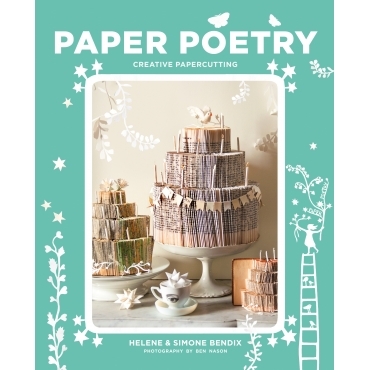 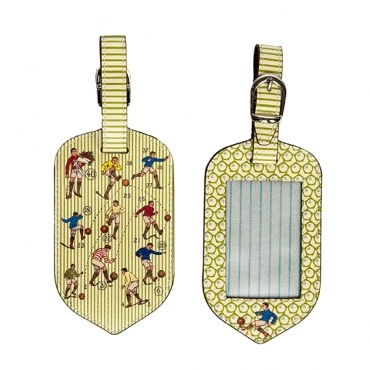 23 cm long and 16 cm wide at it's widest it easily keeps 1 large pair of scissors and two smaller ones. 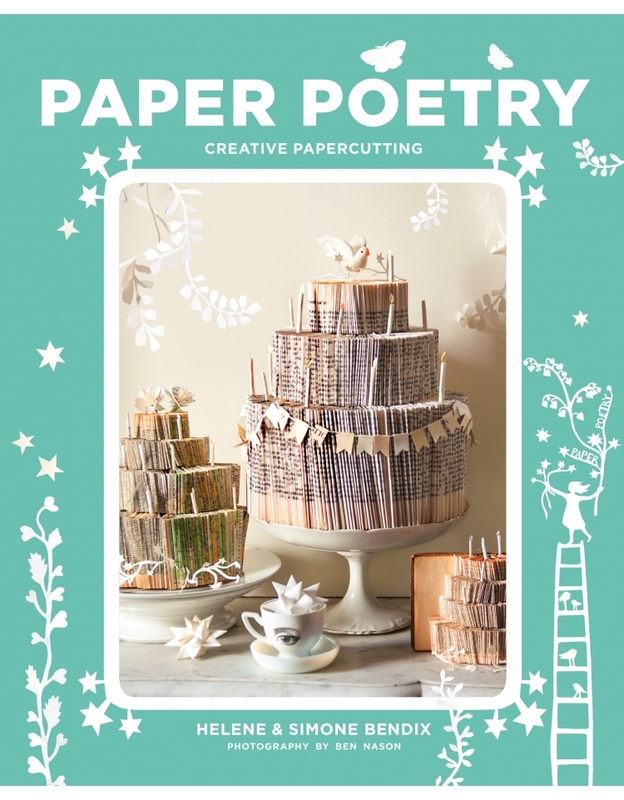 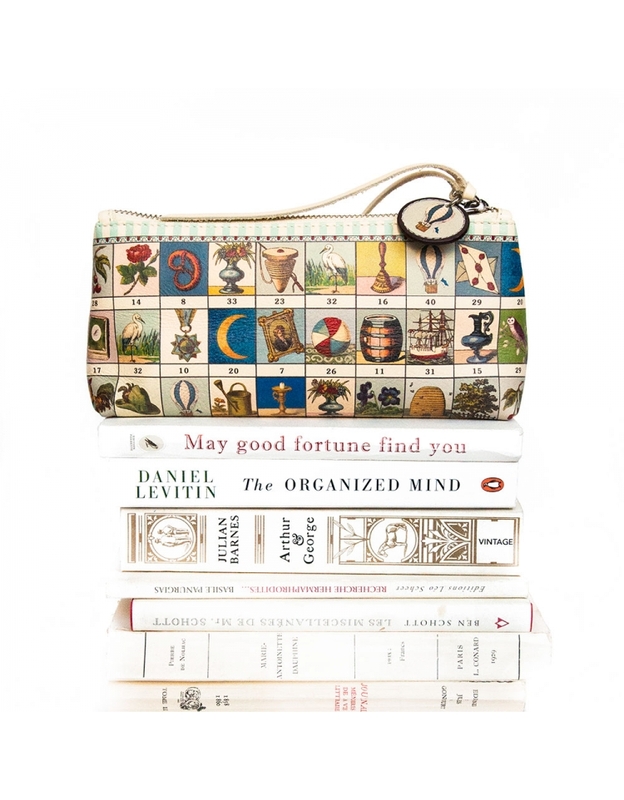 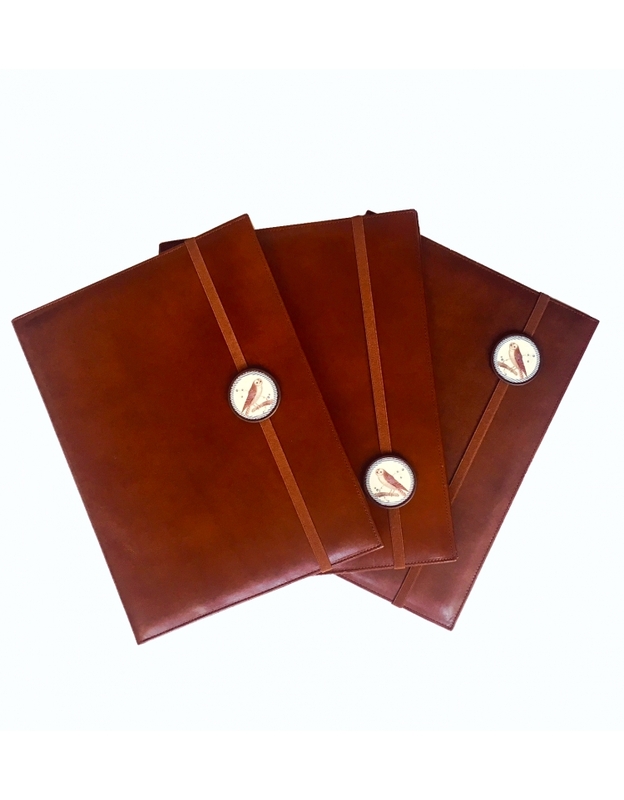 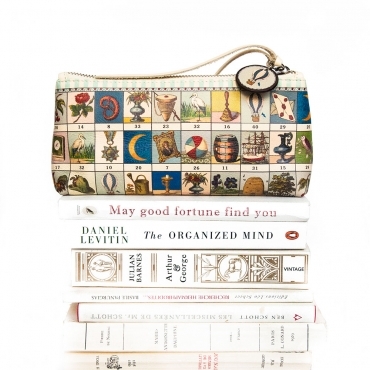 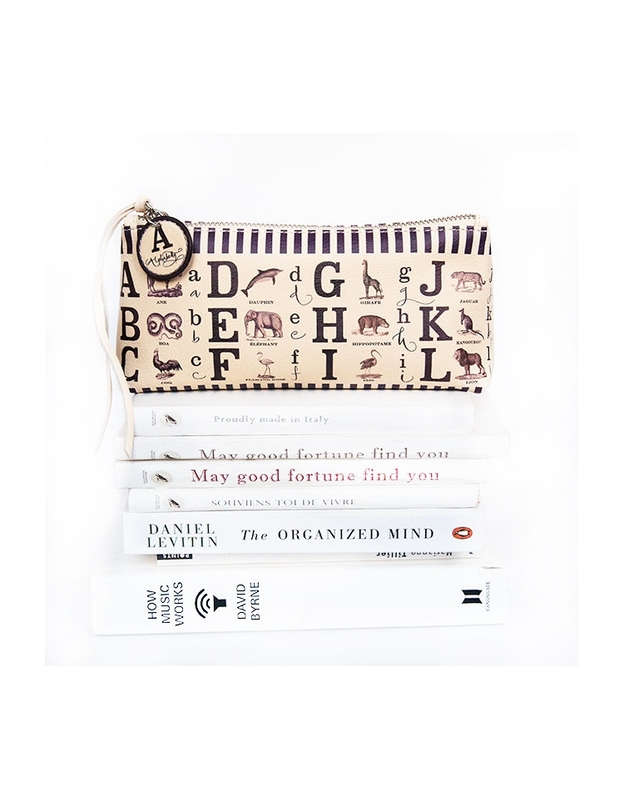 The Portfolio Poshette will help you keep organised. 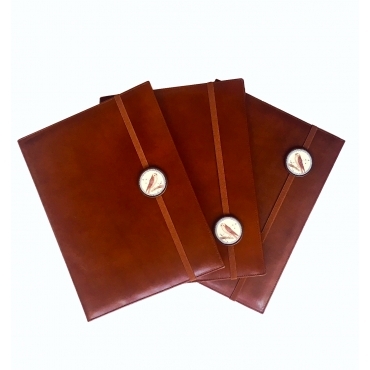 Stylish brown leather cover 33cm c 25.cm with two inner pockets to keep stationary /Large I-Pad /any A4 sized material. 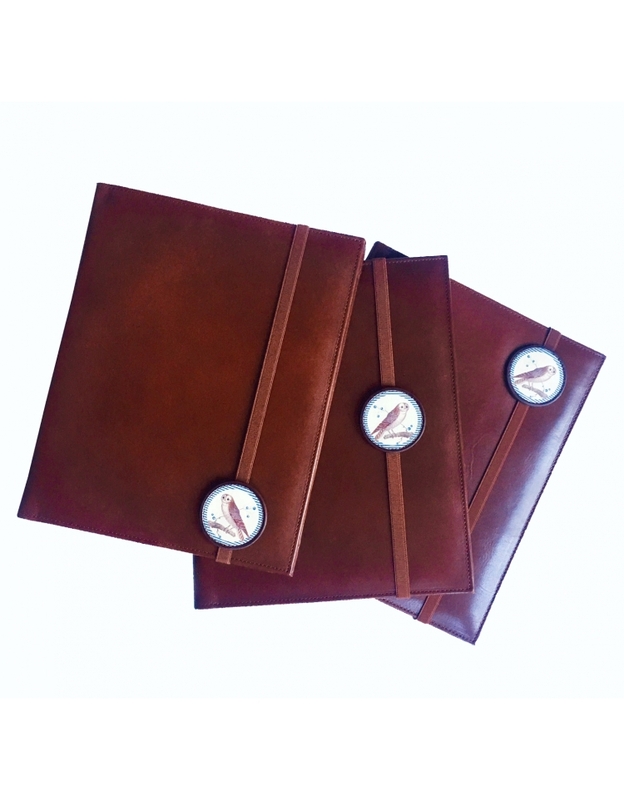 The Portfolio Poshette will help you keep organised. 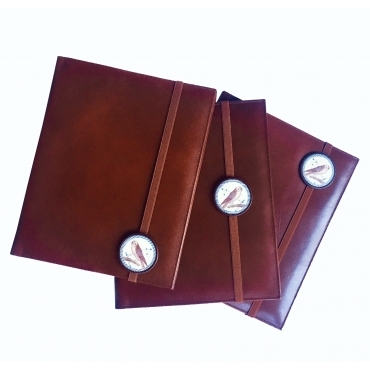 Stylish brown leather cover 26cm c 21.cm with two inner pockets to keep stationary /small I-Pad /any A5 sized material. 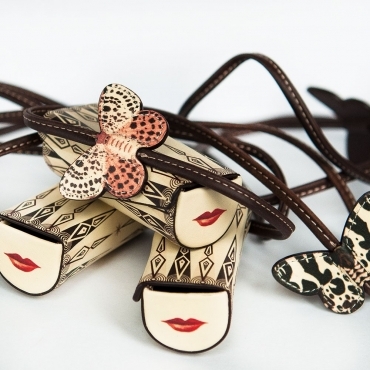 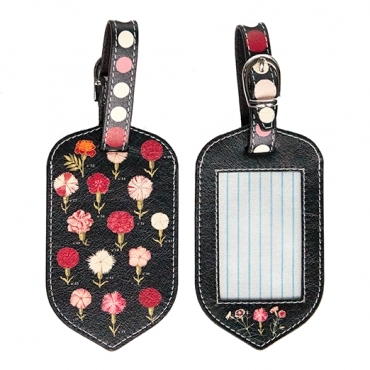 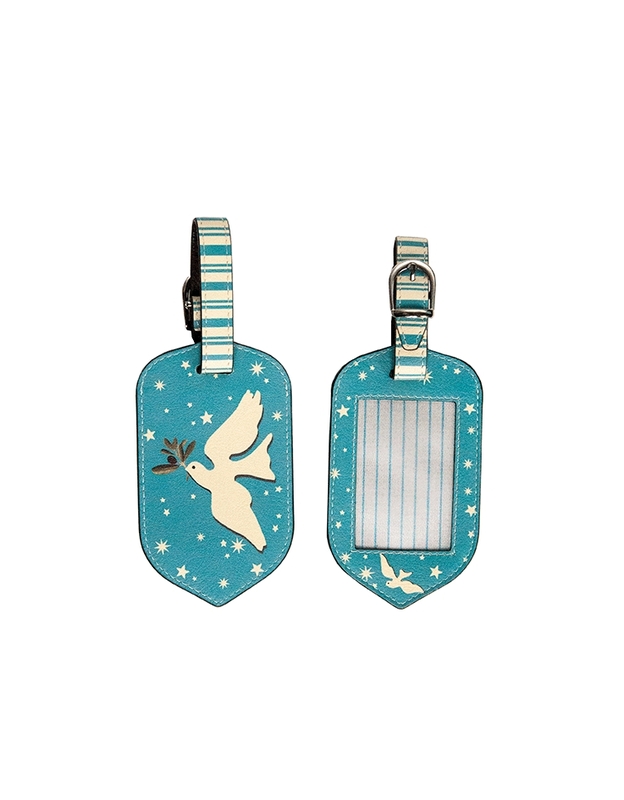 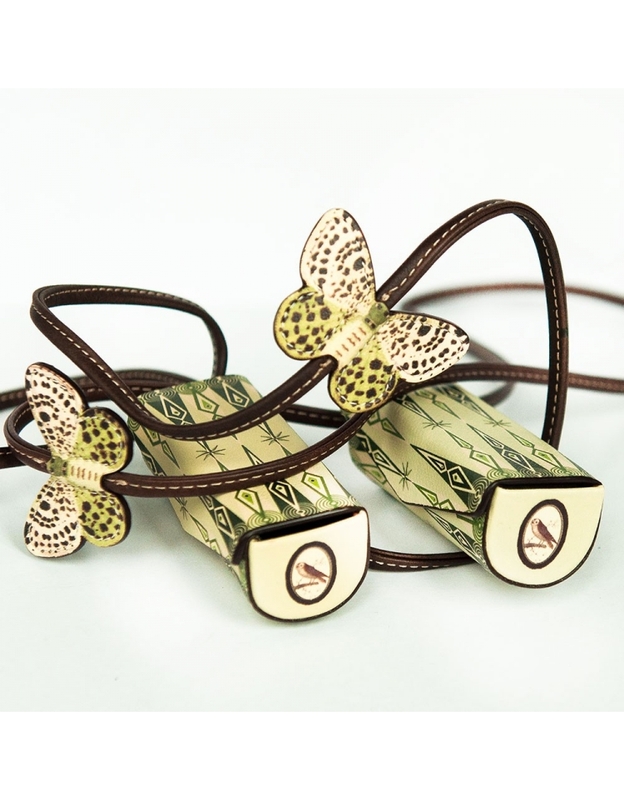 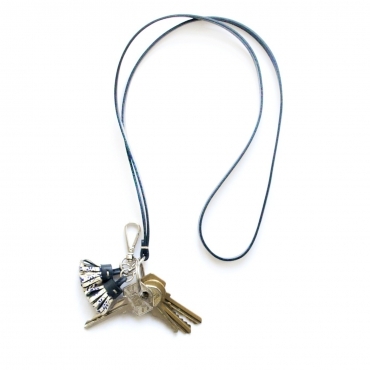 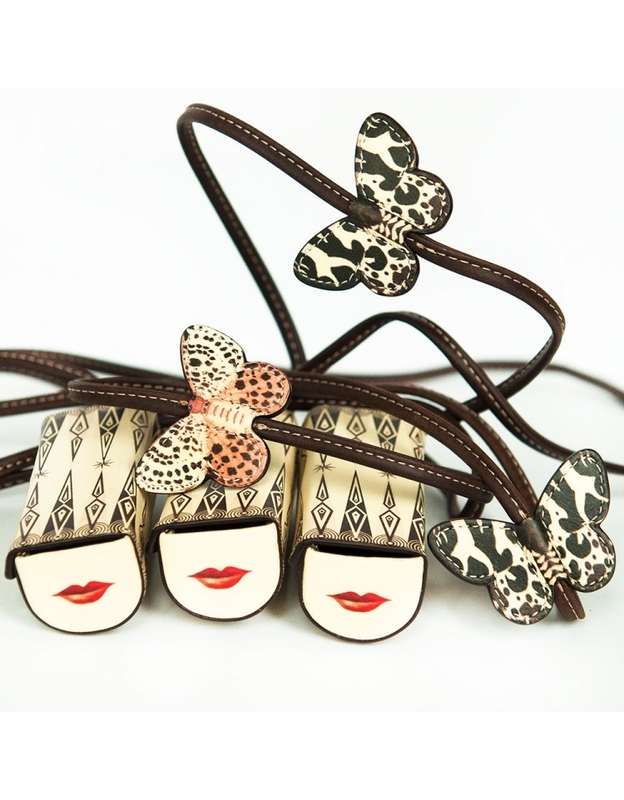 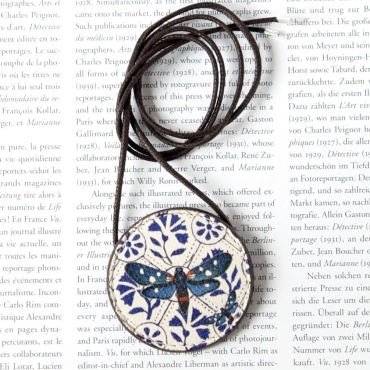 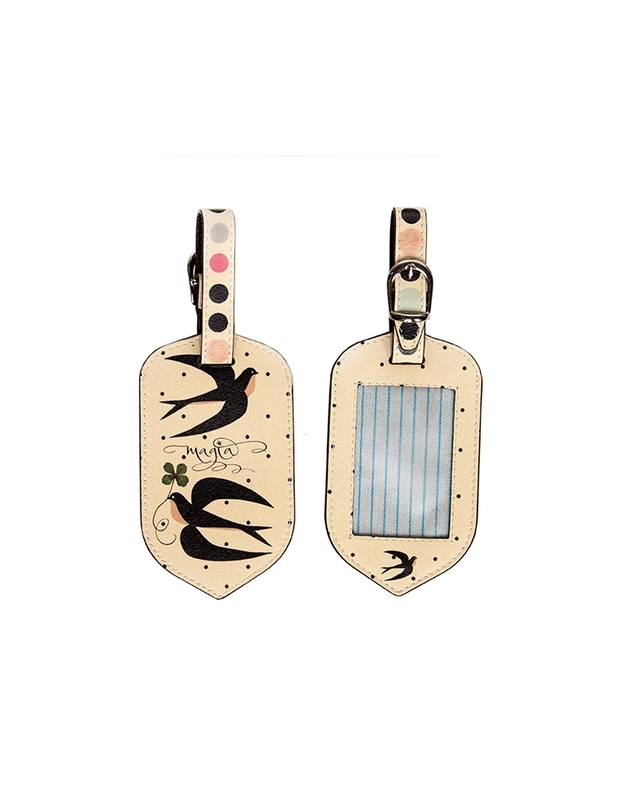 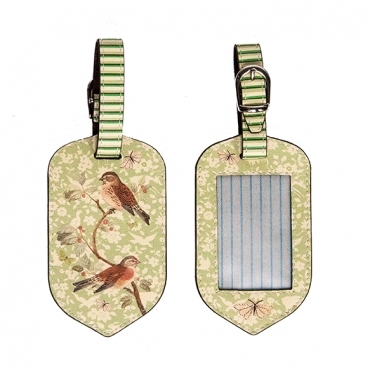 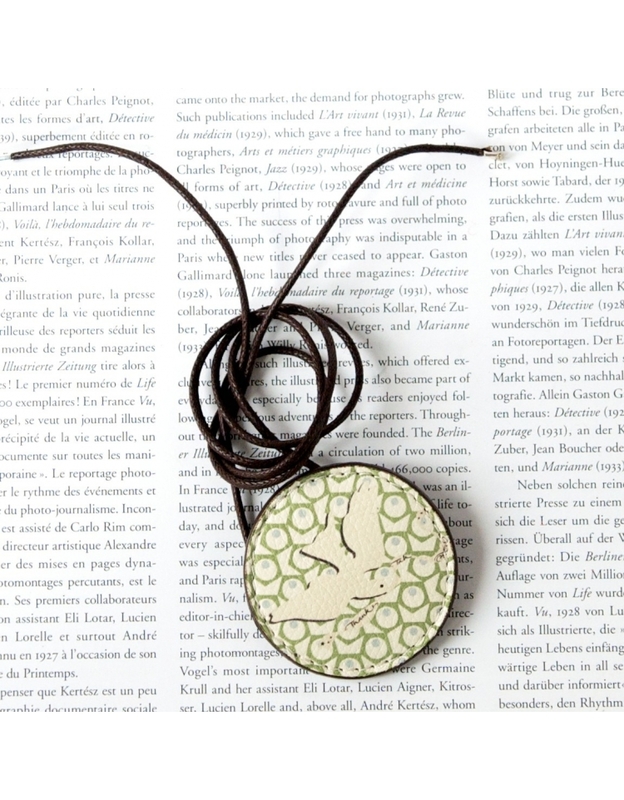 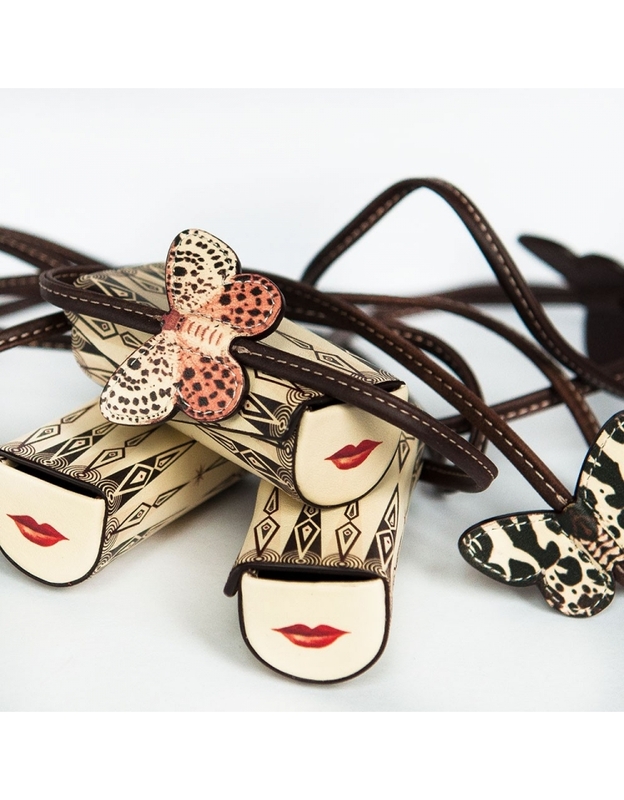 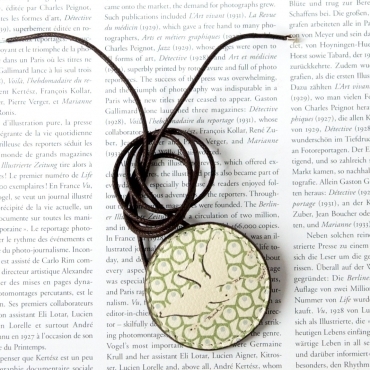 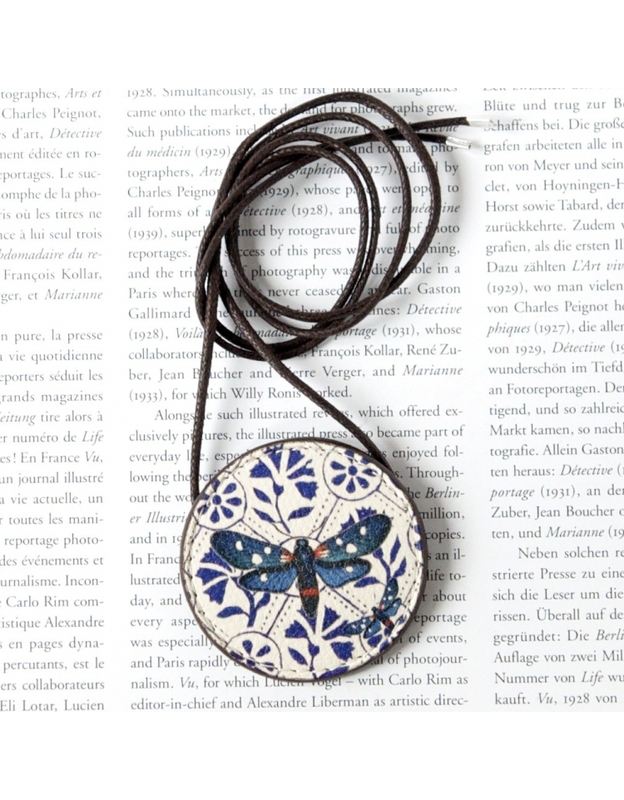 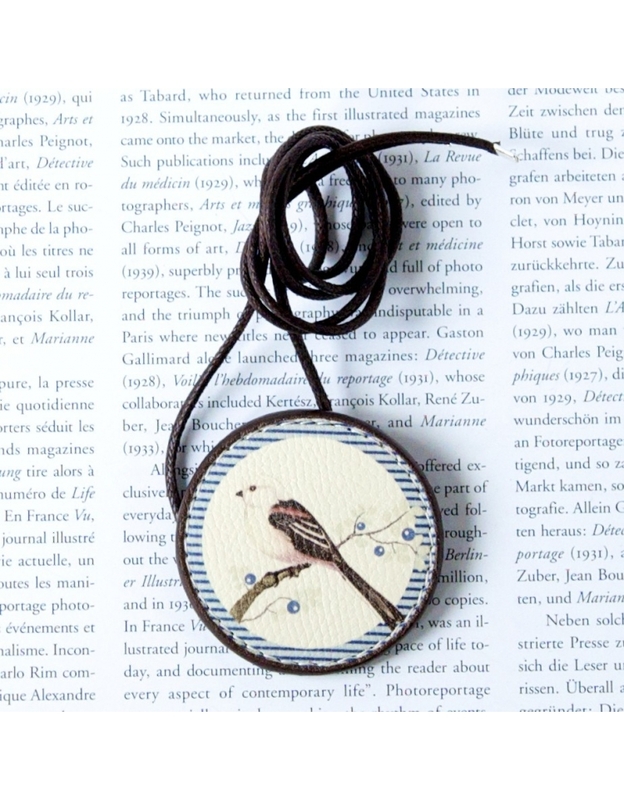 A lipstickholder with printed butterfly attached to an 86cm leather chord. 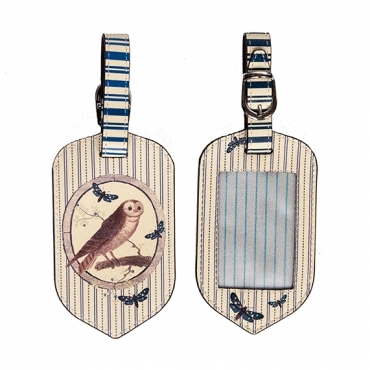 A light weight mirror inside, so you can keep your lipstick and have a look at yourself wherever, whilst applying. 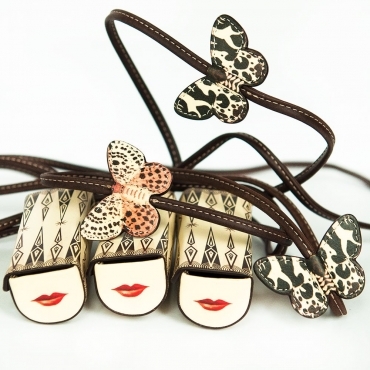 A lipstickholder with printed butterfly attached to an 86 cm chord. 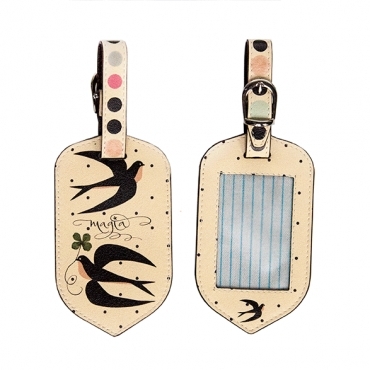 A light weight mirror inside so you can keepeye on yourself whenever applying lipstick. 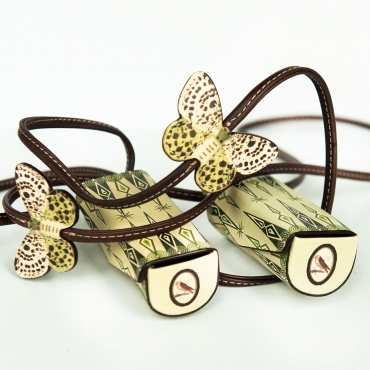 A lipstickholder with a printed butterfly attached to an 86cm leatherchord. A light weight mirror inside, so you can keep your lipstick and have a look at yourself wherever,- whilst applying lipstick. 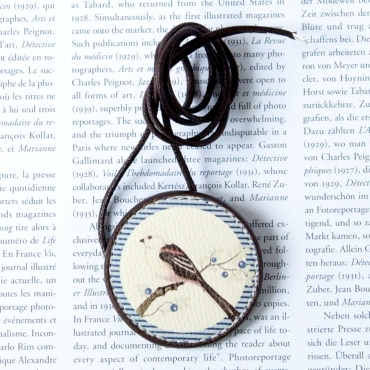 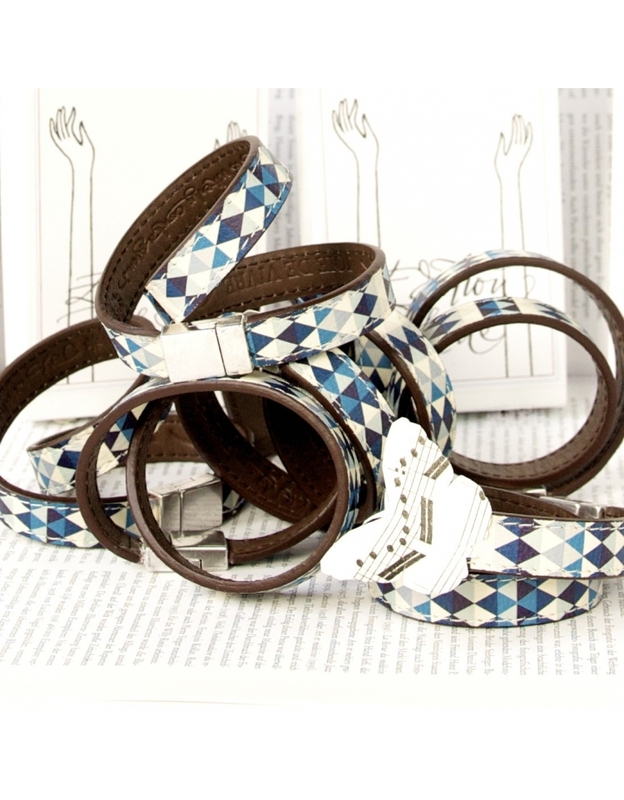 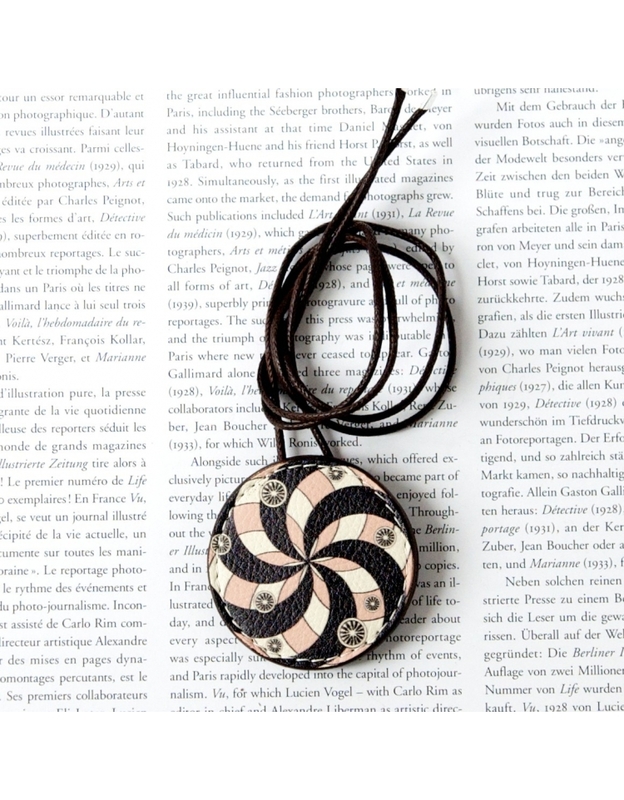 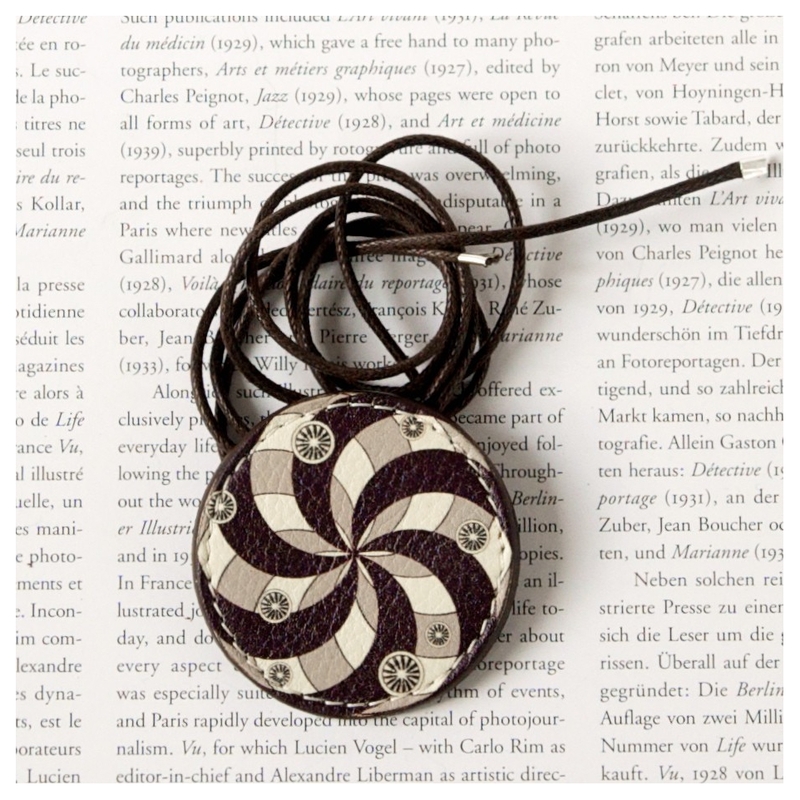 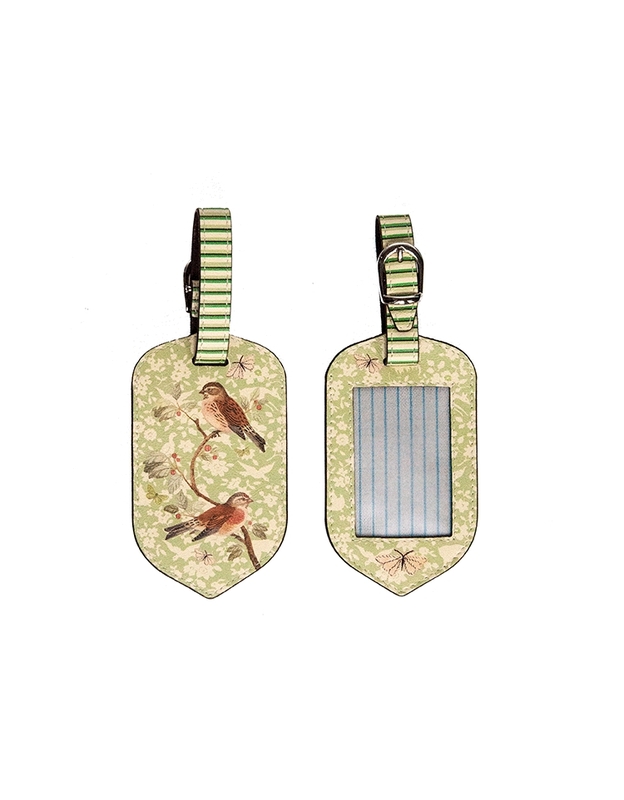 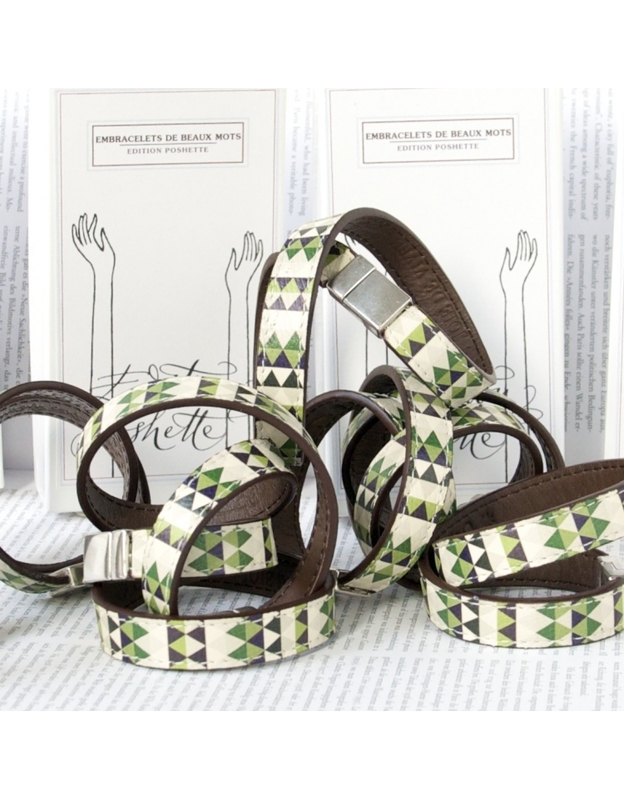 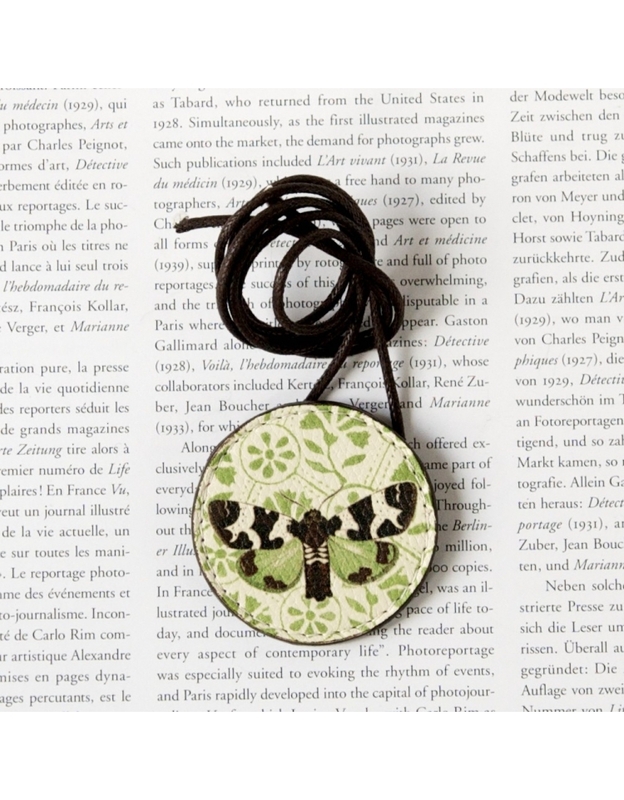 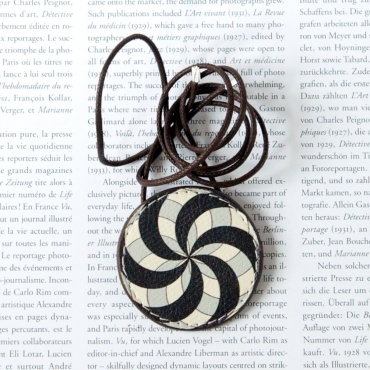 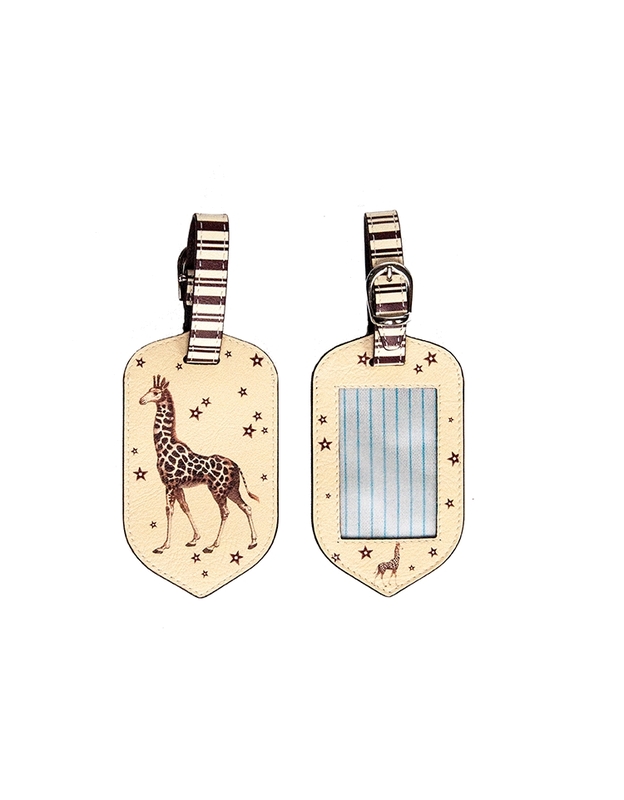 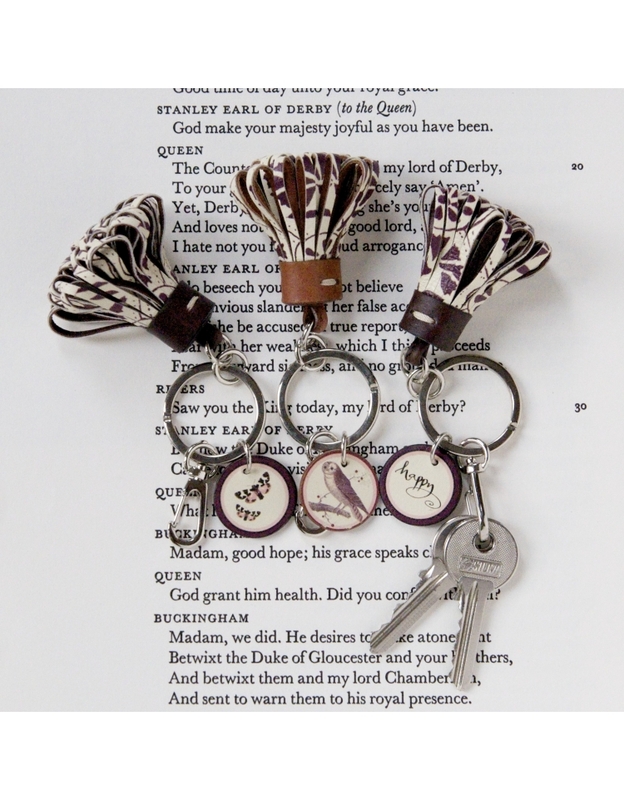 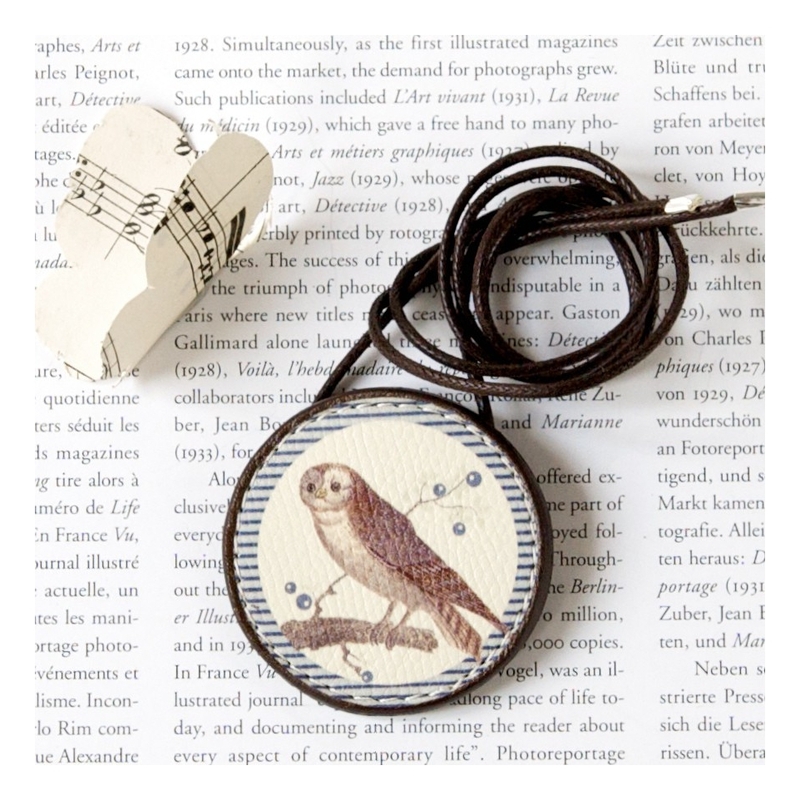 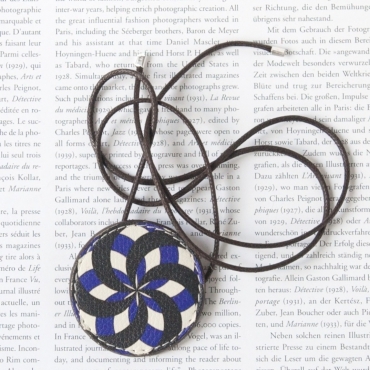 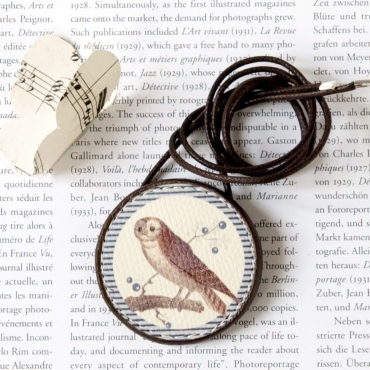 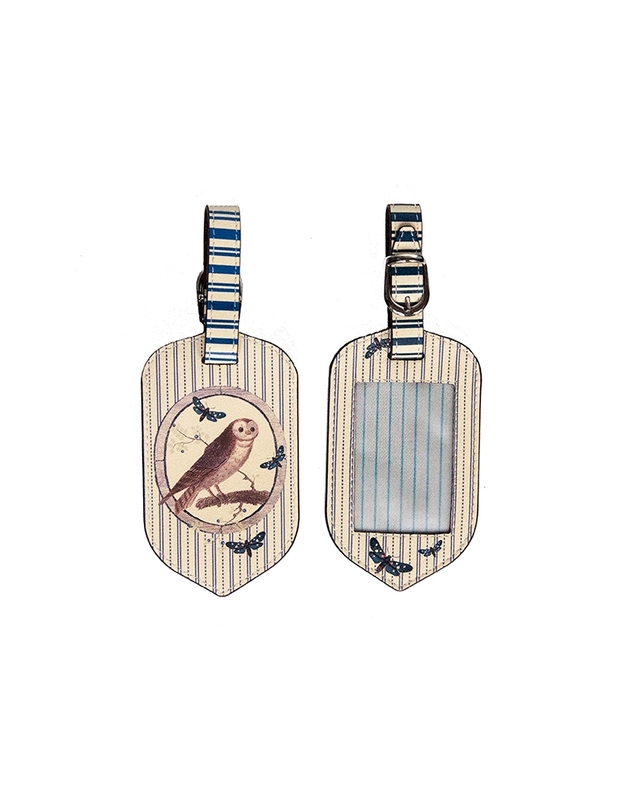 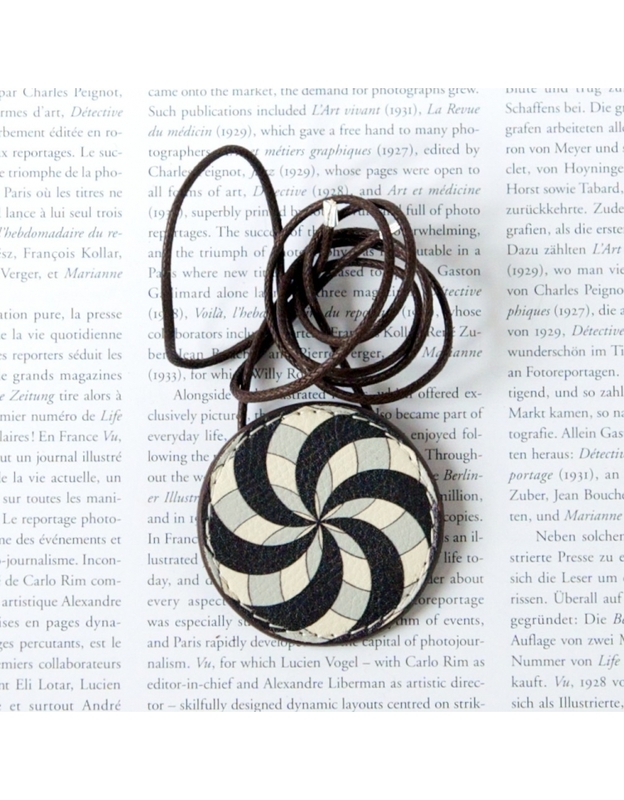 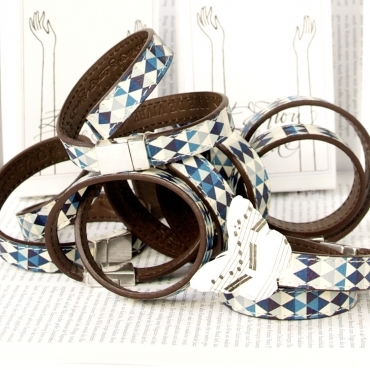 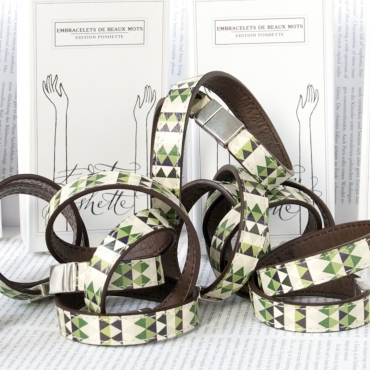 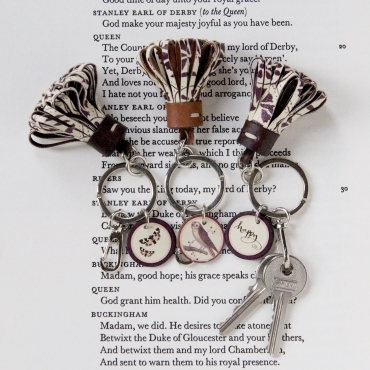 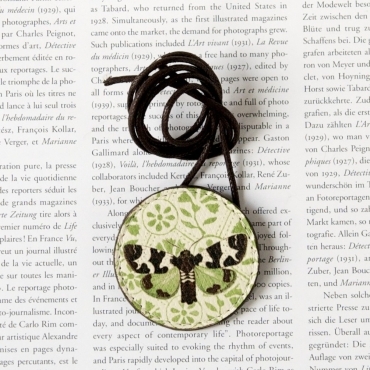 Leather printed circles that can be attached to a chord or a bracelet.